Bar shampoo and bar conditioner is basically just solid shampoo and conditioner. We use all natural ingredients that moisturize and benefit the hair & scalp. After fielding requests for years to put our nourish touch on the hair care market, we spent time researching, formulating and testing various options. Finally, we landed on creating shampoo and conditioner bars. The idea of a product to clean and condition your hair that doesn’t come in a plastic bottle or made from non-biodegradable ingredients really spoke to us and our mission of creating bath and body products that are as good for you as for our environment. Shampoo and conditioner bars are basically just solid shampoo and conditioner. Instead of using water as the main ingredient, we use natural ingredients that moisturize and benefit hair & scalp. All our shampoo bars include the ingredient sodium lauryl sulfoacetate, which is a gentle cleanser that helps clean hair as well as providing an all natural lather for the bars. While the base also includes coconut oil, cocoa butter and a little water for additional moisturizing, each bar also includes a few ingredients that offer their superpowers for various hair types. Our peppermint & charcoal shampoo bar increases circulation, creates volume and promotes hair growth. Charcoal is added to help get rid of any product build up. The stimulating rosemary and calamine shampoo bar contains rosemary essential oil which is believed to help to prevent hair loss and greying. Calamine powder is added to soothe dry itchy scalp. Our rose & beet solid shampoo features beetroot powder which is high in potassium and iron that promote the growth of strong healthy hair. The tea tree & green clay shampoo is great for oily hair. Green clay can help in keeping your scalp dry but not flaky. 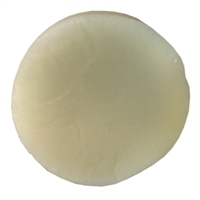 This bar also helps in treating fungal, bacterial, and microbial scalp conditions. We have conditioner bars with the same names: peppermint & charcoal, rosemary and calamine, rose & beet, and tea tree & green clay but don’t let the matching sets be constricting. Any of our shampoo bars can be matched with any of our conditioner bars to create custom solutions for your own hair and scalp. 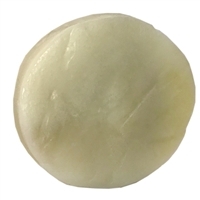 The base of our conditioner bars is coconut based moisturizers with additional ingredients to help customize bars. Our shampoo and conditioner bars are also great for traveling: TSA-friendly and our handy cases are perfect for tossing in your carry-on. No need to sacrifice good looking, healthy hair no matter where you are!